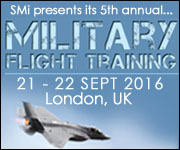 The annual Military Flight Training conference will discuss the latest national approaches to training as well as the development of modern technologies to meet current and future complex mission scenarios faced by today’s pilots from fast fighters to multi-engine fixed wing aircraft. the agenda will cover military Briefings from the Royal Air Force, US Air Force, US Navy, France, Poland, Sweden, Norway, Slovenia, South Africa and NATO, focus on synthetic training, pilot instructor training, air power delivery and more. 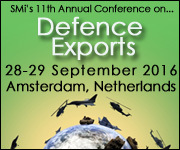 Defence Exports 2016 will provide crucial ITAR, ECR, EAR and OFAC updates as well as changes to national European export controls from long-standing EU members, recent members as well as non-EU national updates. Alongside the elite panel of government speakers, senior international trade compliance professionals will discuss the key challenges in compliance and topics include cyber security and export violations, electronic data services such as cloud and how to comply, global trade compliance programmes and self-disclosure. Speakers 2016 include Global Legal Services, U.S. DoD, Pillsbury Law, BAE Systems, Israel MoD, Bell Helicopter Textron, Netherlands Ministry of Foreign Affairs, NATO, Danish Business Authority and more.